Arriving at the Robolancers booth at 7:30, I could feel the weather would shape out to be a great day for us. Hank arrived with the robots and booth supplies, and we started to unload everything from the car that was packed ever so meticulously in order to fit everything we needed. 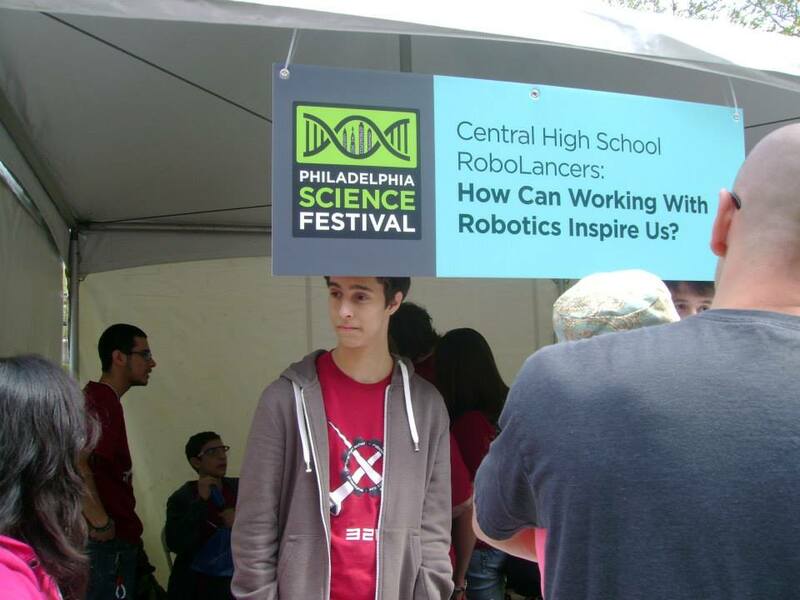 After the booth was all set up and more Robolancers started to show up we did some joy-riding with the FRC robot. This carried on till sectors started to arrive, then I was off to the FTC field. The field was hectic at first, from connection issues to missing supplies to broken robots and impatient lines, Andy, Jonah and I had a lot in our hands. But after sorting everything out the day went smoothly… for a while at least. We were forced to settle with only one robot running to demo at a time to my much pleasure, Crimson was among them. Its late but Crimson worked and unlike gold, we found out that it was quiet childproof. It was a pleasure explaining the FIRST program and FTC to the interested parents as the kids drove around the field. In the end the line moved smoothly, both Crimson and Gold were being switched in and out of operation and everyone was happy. It’s amazing to see just how smart some of the kids were and interested in robotics.Overall, it was a great day, and hopefully we sparked an interest for some of the kids who visited us. 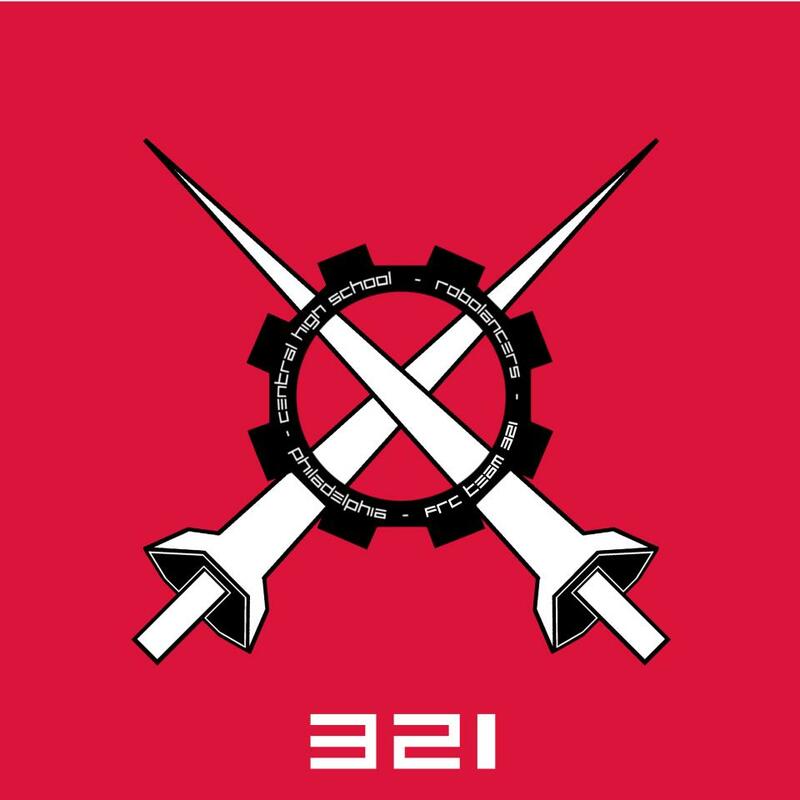 robotics team, the RoboLancers, FIRST Team #321. 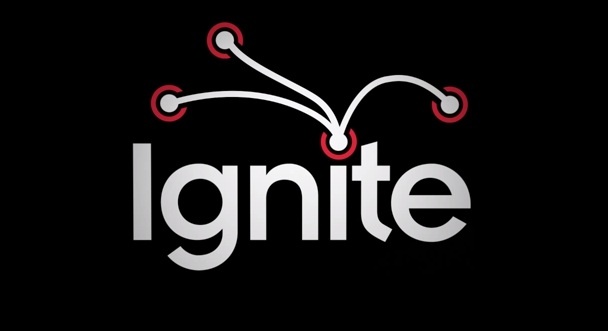 Ignite Philly focuses on people in Philadelphia involved in cool projects. Hi all, it has been a while since my last blog post. The RoboLancers recently participated in the Springside Chestnut Hill FRC District competition on the 14th and 15th of March. I have previously been a part of the drive team for off-season events – Ramp Riot and Duel on the Delaware, however it was my first time being part of the drive team for an actual qualifying competition. My position was the coach of the drive team. This experience was exciting and a little stressful. 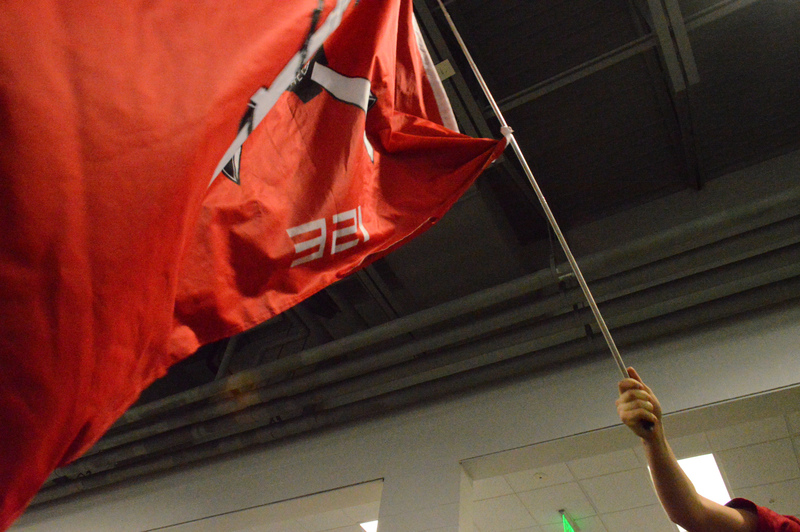 Being able to strategize with other teams and being up front and watching the robots competing on the field was amazing. After this competition, I am very looking forward to the Lenape-Seneca regional this week. Hopefully the team will be able to yield better results this competition. 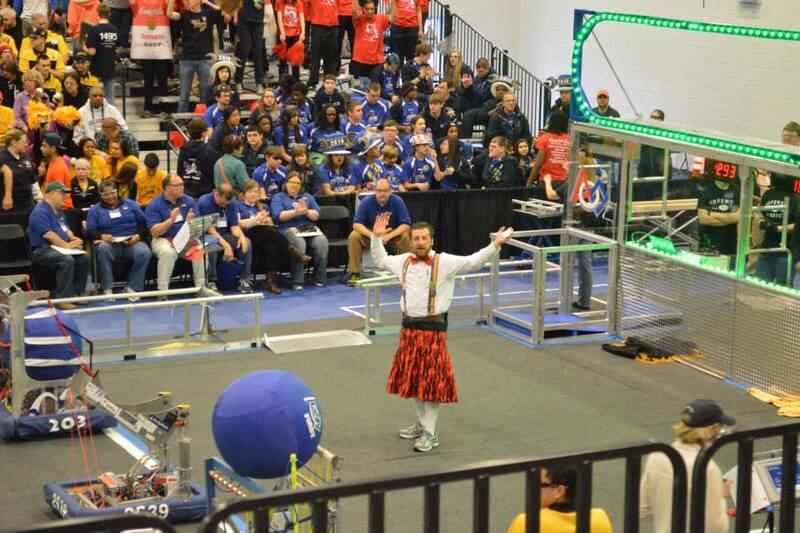 On March 15th, we headed to Chestnut Hill for the FRC competition with our FRC counterpart of the team. Some of us had to carpool to get there, but when we got there, we were excited for the things to come. 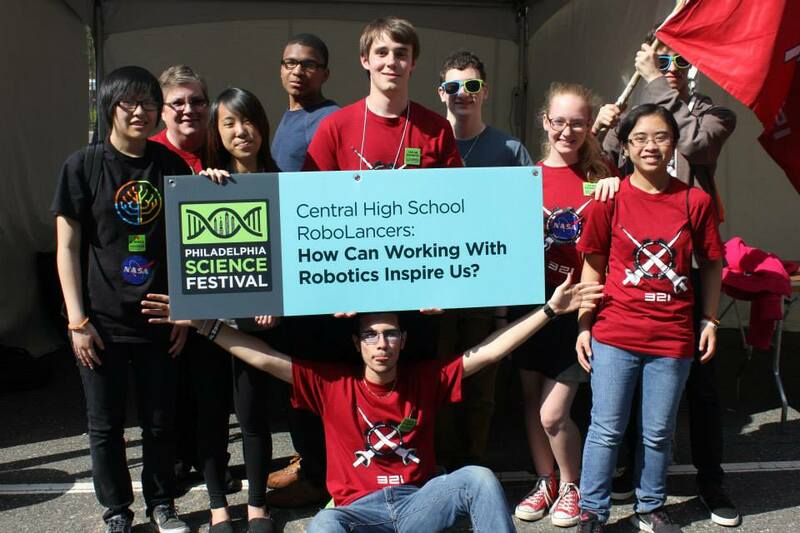 Our team worked hard for our robot, and the Robolancers had a great time interacting with other teams, from mascots to chatting during lunch and down time. 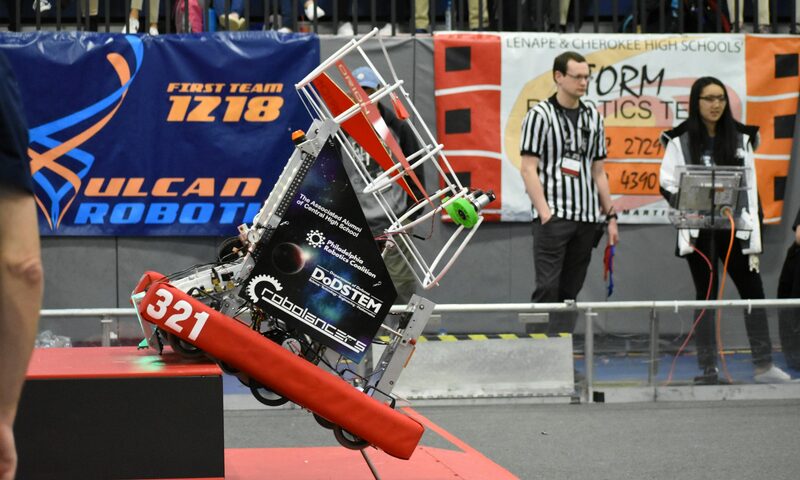 Our robot played defense with it’s speed as it tackled robots and denied points for the other team. However, we dropped to the lower ranks as other teams overcame us. 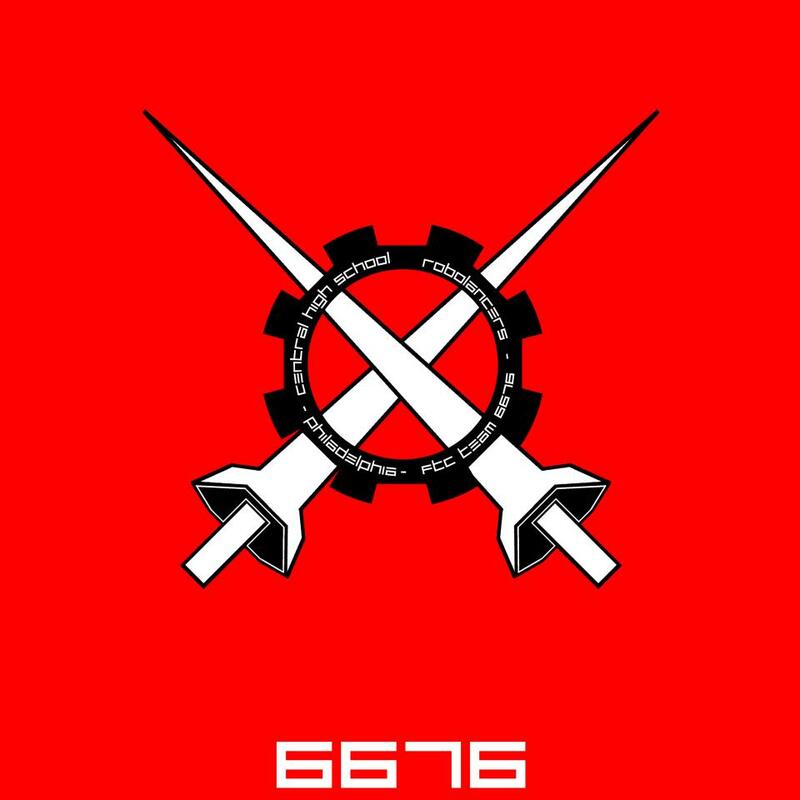 Although we are not the best team, we are rapidly improving and even as we dropped down, we still saved face and cheered for the other Alliances and finalists. Overall we had a great time together, and it was a great event. Together with our teammates, we cheered, laughed, and collected a ton of pins and badges. We won the Judges award, and so Callan, Stanley, and Etienne will be presenting for Chairman’s again next week at Lenape. We’ll be looking forward to things to come, and learning from our mistakes. Some of us are really good dancers too.